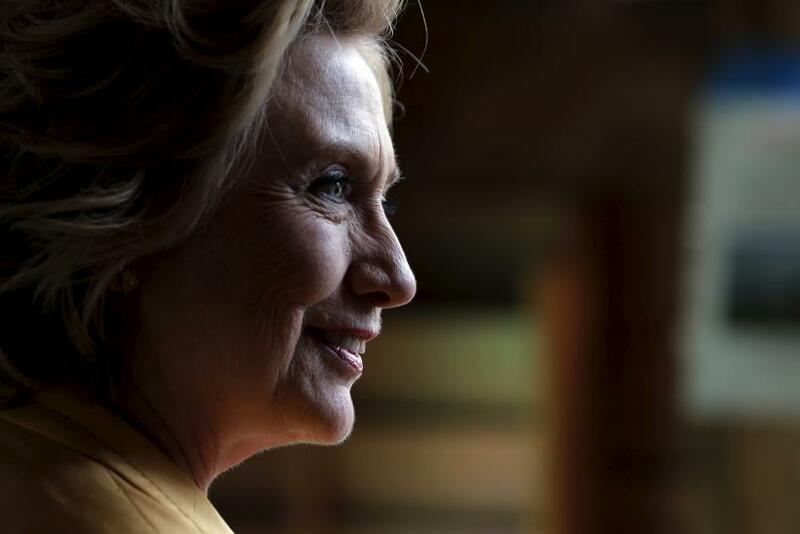 Closing out her Iowa campaign, Hillary Clinton on Friday declared that the Medicare-for-all proposal pushed by her Democratic primary opponent and many liberal groups will “never, ever come to pass.” The statement came weeks after a new poll showed most Americans support the idea. Her declaration was a reversal of her position two decades ago — which came before she received millions of dollars of campaign cash from the health industry. Clinton’s comments, which were made during an appearance at Grand View University in Iowa, were aimed at Vermont Senator Bernie Sanders, who has long championed the kind of government administered health care system used by many major industrialized nations. Of Sanders’ proposal, Clinton said on Friday: "People who have health emergencies can't wait for us to have a theoretical debate about some better idea that will never, ever come to pass." The Kaiser Family Foundation’s December 2015 tracking poll found that 58 percent of Americans support expanding Medicare to cover everyone. Between that declaration and her now saying single-payer can never pass, Clinton has vacuumed in roughly $13.2 million from sources in the health sector, according to data compiled by the nonpartisan Center for Responsive Politics. That includes $11.2 million from the sector when Clinton was a senator and $2 million from health industry sources during her 2016 presidential campaign. In a 2006 story about her relationship with the health industry, the New York Times noted that during her Senate reelection campaign, she was "receiving hundreds of thousands of dollars in campaign contributions from doctors, hospitals, drug manufacturers and insurers" and had become "the No. 2 recipient of donations from the industry." The Intercept also reported that from 2013 to 2015, Clinton received more than $2.8 million in speaking fees from the health industry. Clinton and her daughter Chelsea have suggested that Sanders plan would dismantle the Affordable Care Act, which Sanders voted for. Sanders has disputed that and has also disputed that passing a single-payer system is impossible if a president pushes it. Democrats, however, are not expected to have such numbers in Congress after the 2016 election. This story was updated to include data about health industry speaking fees.